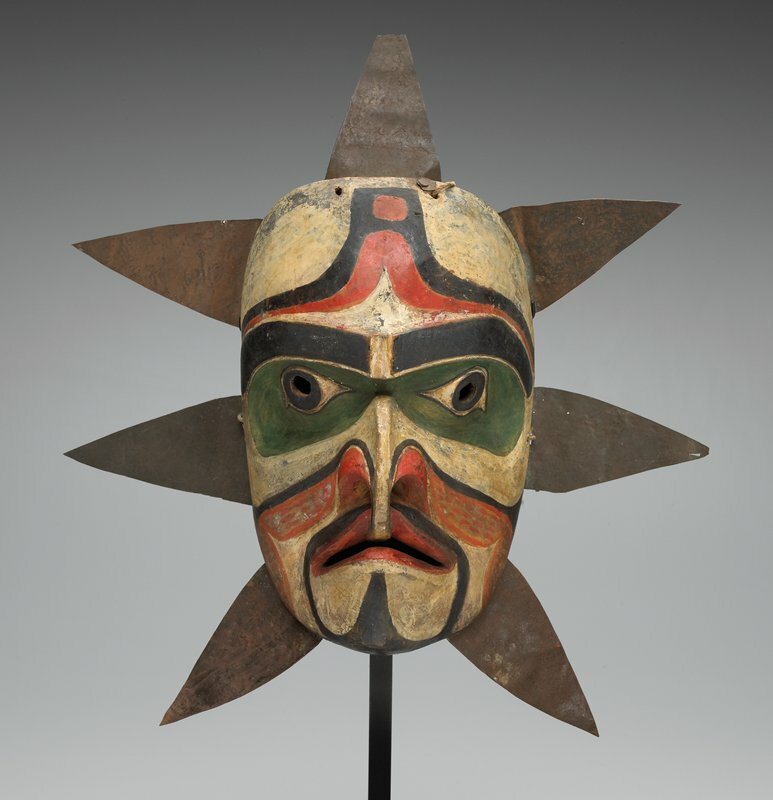 Masks have always played an important ceremonial function among tribal groups in the Northwest Coast region. Artists of the Kwakwaka'wakw are known for the bold, expressive features of their masks, which were the property of noble families who had exclusive rights to their use. They appeared during potlaches, elaborate ceremonies that reinforced the tribe's lineage and social hierarchies. Sun masks figured prominently during retellings of Kwakwaka'wakw origin stories because of the sun's role as creator and sustainer of life.